The 1% pay cap has been lifted after seven years, and the independent NHS Pay Review Body (RB) is expected to make its recommendations to the government on nurses’ pay in early 2018. Chancellor Philip Hammond has promised there will be funds available to cover a pay rise for nurses, but Whitehall wants increases to be linked to productivity. 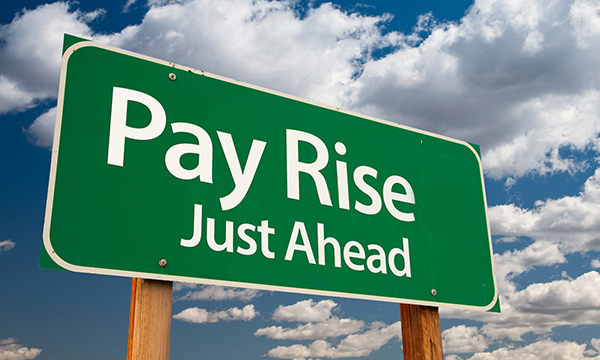 The RCN and other health unions are calling for an above-inflation pay rise of 3.9% for NHS staff to offset an estimated 14% real-terms loss of income since pay restraint began in 2010. Health Education England (HEE) is due to release a service-wide long-term NHS workforce strategy by January. Ms Davies says that for nurses ‘the number one concern’ is low staffing levels, and that the RCN’s campaign for legislation on safe staffing will gain momentum next year. ‘It will be a priority for the college as we grapple with over 40,000 nursing vacancies across the UK,’ she says. 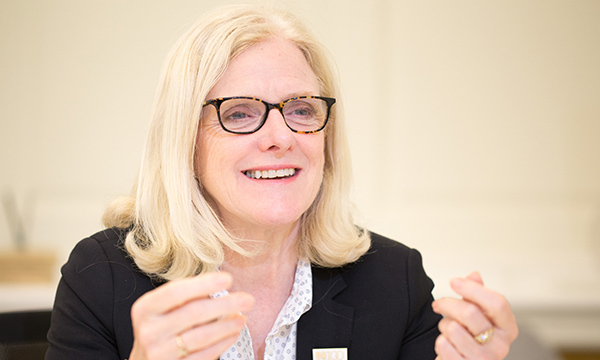 Queen’s Nursing Institute (QNI) chief executive Crystal Oldman says the spotlight needs to be on district nursing. Dr Oldman says: ‘The final year of the Five Year Forward View in England will start in 2018, so there will be a close examination of whether the goals will be met and aspirations realised by 2019. New routes into the profession, including the nursing associate role, nursing degree apprenticeships and the Nurse First programme, continue to take shape. Ms Davies says: ‘The new apprenticeships and nursing associates in England are to be welcomed, but the right frameworks must be in place to ensure people receive the training they need. The outcome of an inquiry into the nursing workforce by the House of Commons health committee should be announced by the end of January. on the value of degree-level education. 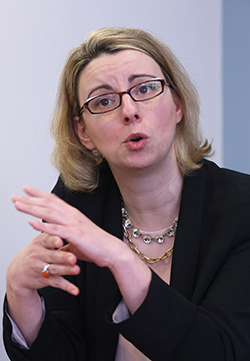 Council of Deans of Health executive director Katerina Kolyva says this will offer a clearer idea of how to build on issues such as the balance between pre and post-registration education and funding for continuing professional development. Dr Kolyva is looking forward to a new national communications campaign next year focusing on the value of the health professions and their education at degree level. ‘This will play a vital role in ensuring that we attract sufficient numbers of students of all ages and backgrounds into these very rewarding careers,’ she says. In March, the NMC will publish new education standards for pre-registration nursing. NMC chief executive Jackie Smith says: ‘I look forward to sharing these standards with our stakeholders and taking a step closer to equipping the next generation of nurses with the knowledge and skills they need to practise, now and in the future. The NMC will also be running an engagement programme with health and care representatives across the UK on what effect its projects may have on registrants. 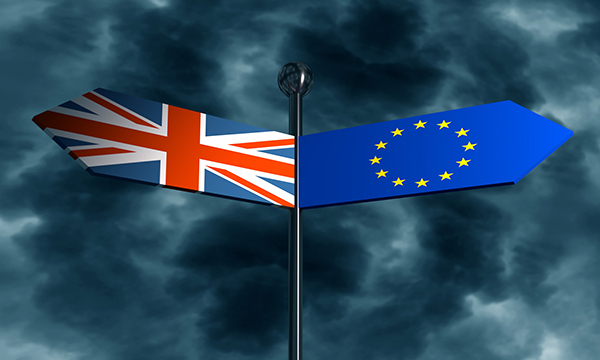 As Brexit talks continue, concern remains high over its impact on the UK’s nursing workforce, which is currently bolstered by 26,000 registered nurses from the European Union (EU). 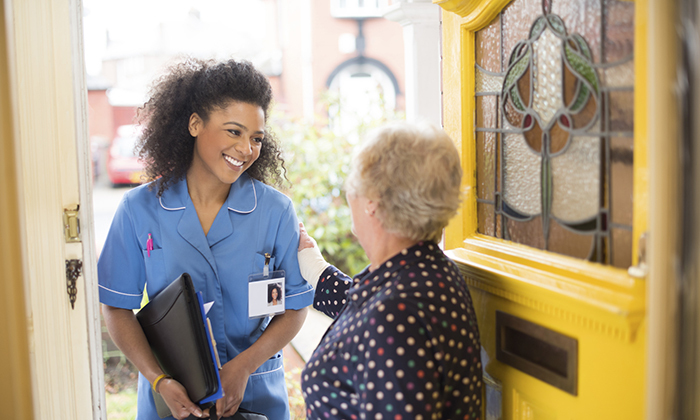 Workforce expert Jim Buchan, of Queen Margaret University in Edinburgh, says: ‘We are already seeing an increase in the number of EU nurses leaving the UK, and a drop in those coming. ‘Factor in the much bigger picture effect of a declining pound sterling and poor trade and fiscal projections, and NHS funding looks likely to continue to be highly problematic. The Cavendish Coalition, made up of 29 health and social care organisations, is working to ensure sustainable workforce supply and standards of care during the UK’s withdrawal from the EU. Cavendish Coalition co-convenor Danny Mortimer says: ‘With 40,000 nurse vacancies in England alone, the government must ensure we continue to attract and retain nurses from overseas, and the Cavendish Coalition is ready to discuss immigration options with the Home Office. ‘Simultaneously, a workforce strategy focused on growing and retaining UK-trained nurses is vital to secure a dependable long-term supply. 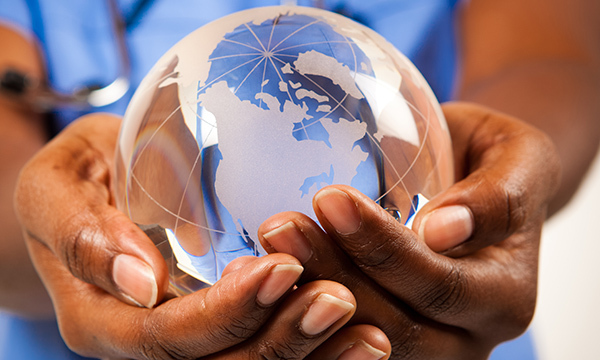 International nursing is on the agenda with the official launch of the Nursing Now! Campaign in 2018, coupled with the appointment of a new chief nursing officer at the World Health Organization. International Council of Nurses director of nursing and health policy Howard Catton says climate change, antimicrobial resistance, infectious and non-communicable diseases, ageing, and mental health provide massive health challenges. ‘If we are to protect and promote health for all, then collaboration and cooperation between healthcare systems and professionals cannot be constrained by lines on a map,’ he says. ‘It’s time to look out, not in, make new relationships and build partnerships and listen to people more than politicians.